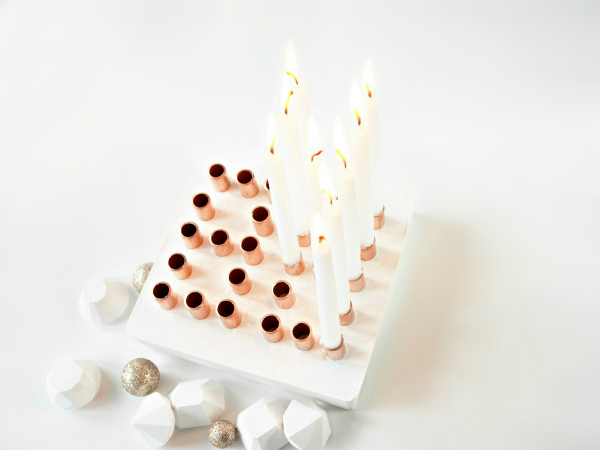 Make birthday candles with a difference for your next party. 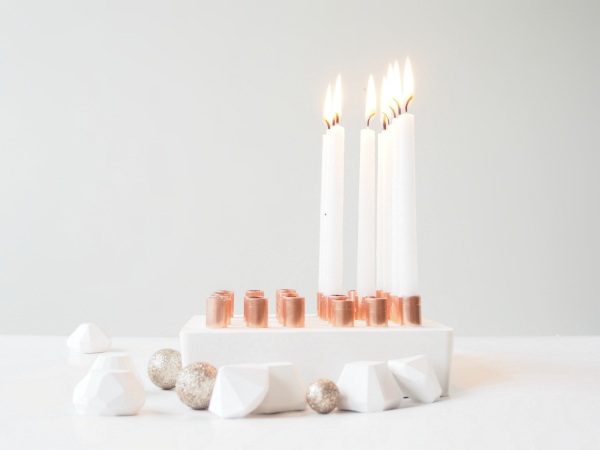 This super-stylish candleholder spells out the special number using this season's hottest materials: copper and cement. 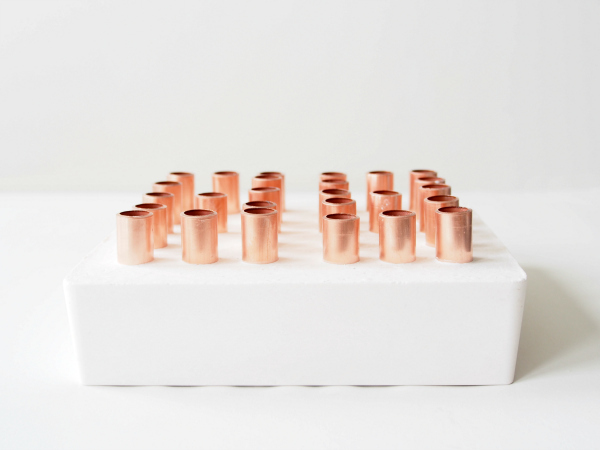 Cut the copper tubing into 26 pieces of 6cm (2.36in) each. 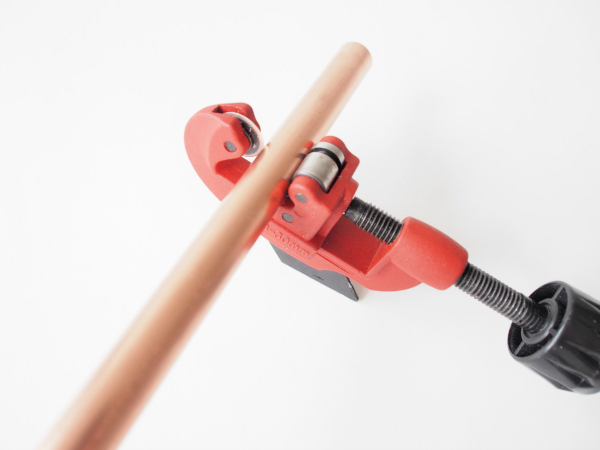 Slide the pipe into the cutter. 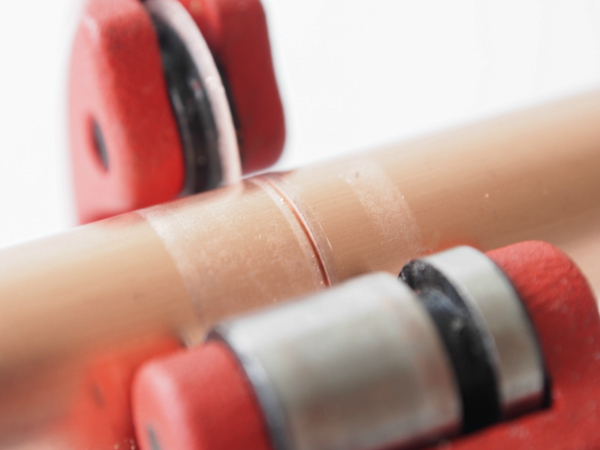 Turn the adjustment screw and carefully tighten the cutter slightly. Rotate the cutter around the pipe to start the cut. Repeat this step until it cuts all of the way through the pipe. 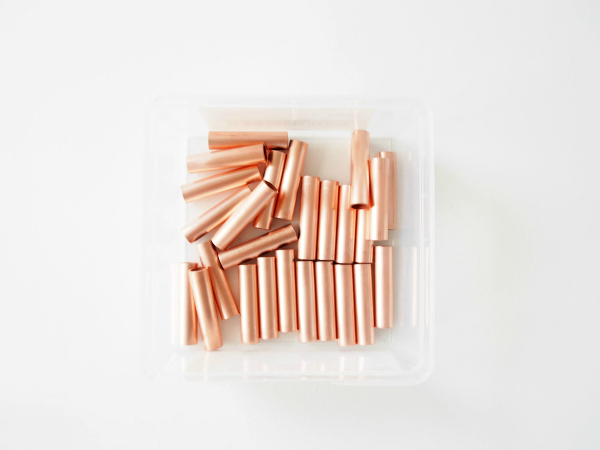 Cut 26 equal pieces of copper tubes. 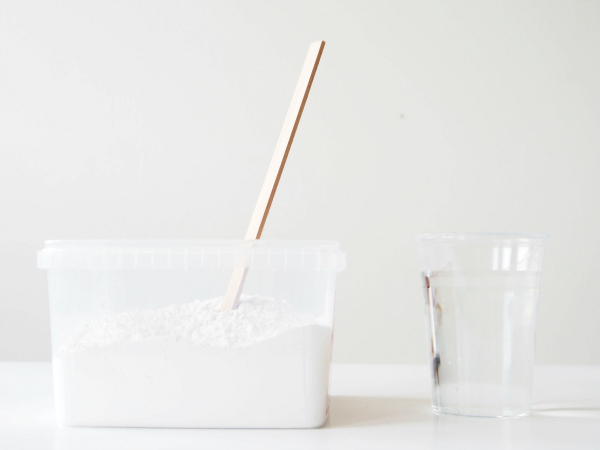 Mix the plaster or cement with water in a plastic container, according to the manufacturer’s instructions. 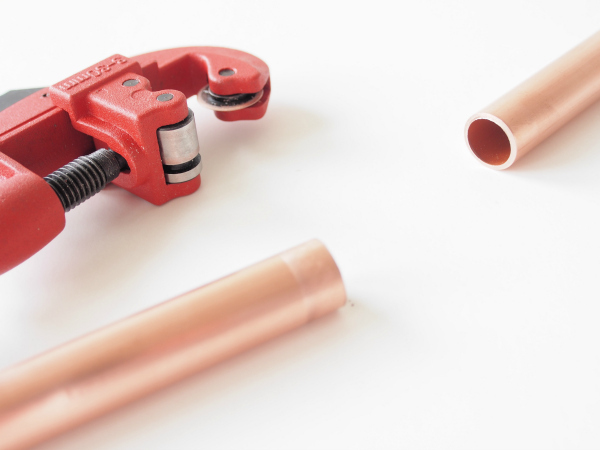 Begin to carefully place the copper pipes in rows, as demonstrated in the photo below. 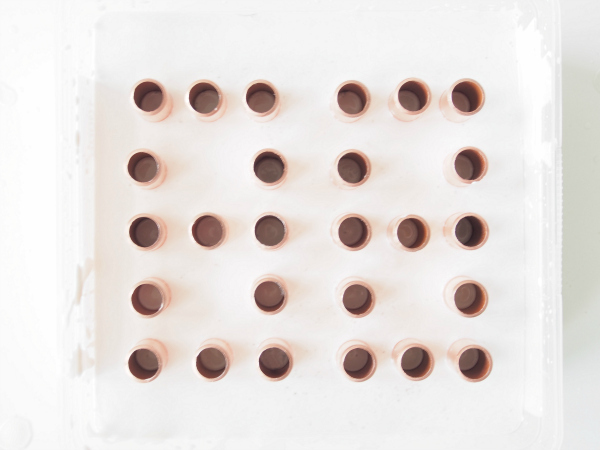 Ensure the pipes are evenly spaced. You're creating a permanent shape for old-school digital-style numbers, that can be customised for every birthday. 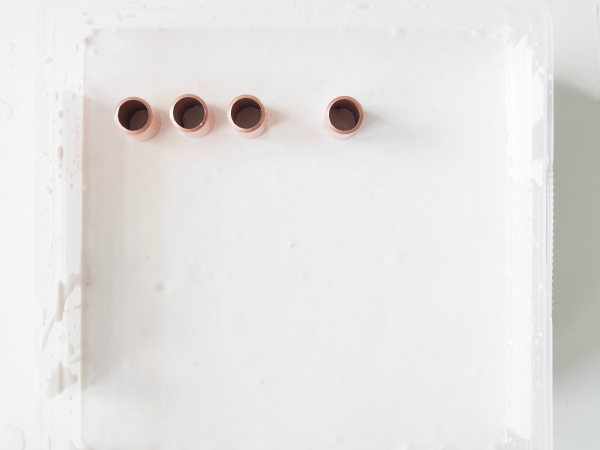 Once all the copper tubes are placed in the plaster, allow the candleholder to dry. 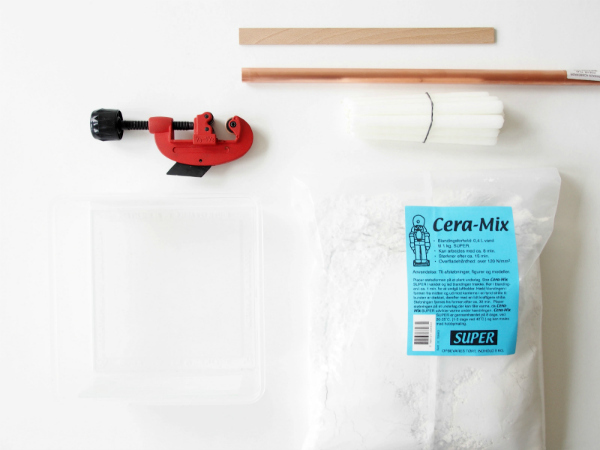 Once plaster has dried, remove the candleholder from the plastic container. Well done, you've now created a permanent and unique way to celebrate birthdays, which can be customised for every year. 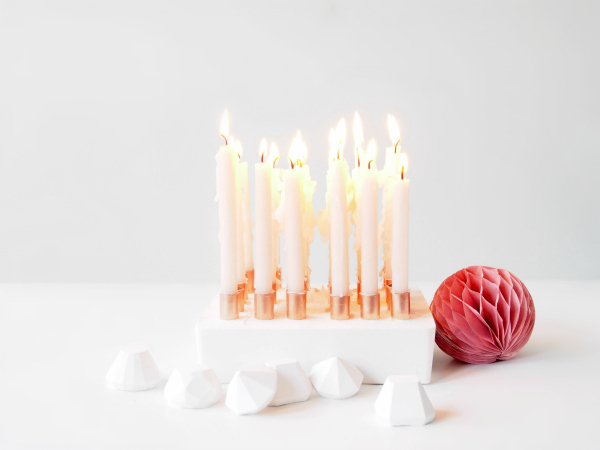 Now all you need to do is arrange the candles in the holder to reflect the age in digits. Here's the candleholder seen from above. If you want a different look, try to use coloured candles to change the mood of the table setting. For birthdays under 10 years of age, you could make the first digit represent a zero, so you have more candles in the arrangement. How did you go with this project? Do you think it would make a birthday party of any age extra-festive? Please share you thoughts in the comments space below.